Mr. Baumann has a distinguished flying career serving his country and his community for over 25 years. He has over 3,800 hours of rotary wing flight hours; 840 hours acquired flying combat missions. 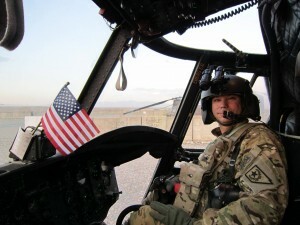 Joseph ‘Seppl’ Baumann served his country for two deployments in Afghanistan flying the CH-47 Chinook as Pilot in Command and Maintenance Test Pilot attached with the 173rd, 82nd, and 101st. He also qualified as Quick Reaction Force PC, Flight Lead and Air Mission Commander, as well as planning missions with NATO forces out of normal area of operation. Seppl received four Air Medals, one with “V” device for Valor. Seppl entered the Oklahoma Army National Guard in October 1984, transferred to Nevada National Guard in 1987. He started flight school in 1990 and graduated January 91. Pilot flying in support of natural disaster and humanitarian missions throughout the United States, Panama, Haiti, Antigua, and Canada. Platoon Leader for cleanup on top of Mount Rushmore. Fire Pilot in Command for the National Guard and Sheriff’s Office. Flying buckets with the CH-54 (previously) and CH-47D/F and a tank with an HH-1. Military positions held include XO, S1, Platoon Leader, Operations Officer, Maintenance Officer, Tactical Operations Officer, and Convoy Commander. As a CW4 in the Guard he flew as a PC and Maintenance Test Pilot. Airframe and Powerplant Mechanic assisting the full-time mechanic on OH-58s and HH-1. Mr. Baumann earned his Bachelors of Science in Professional Aviation degree from Embry Riddle Aeronautical University Main Campus in Daytona Beach, Florida. His Airframe and Powerplant License was earned from the Spartan School of Aeronautics in Tulsa, Oklahoma. Seppl is Currently working with the Washoe County Sheriff’s Office and Nevada Army National Guard as a Deputy flying patrol in an OH-58A+ and support, rescue, and fire missions with an HH-1 Huey. He has flown rescue missions as a Pilot, Hoist Operator, and Rescuer. Your doing our name proud , keep it up Chief !